Remember Smokey the Bear's warning? "Only you can prevent wildfires." He wasn't just saying that because he liked to hear himself talk; he was saying it because it's the truth. 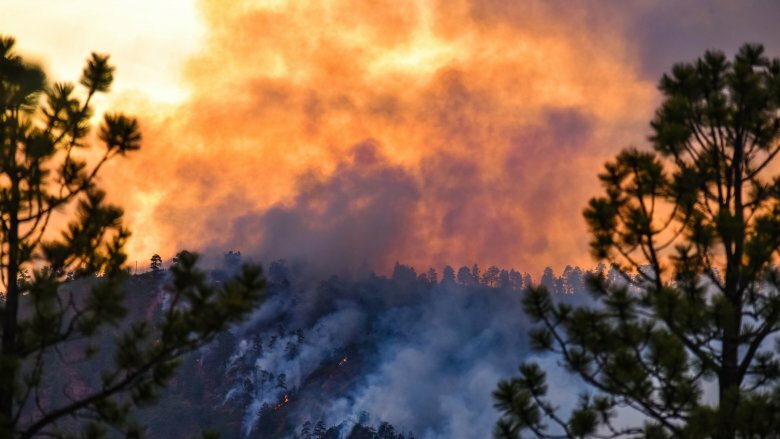 When researchers from the University of Colorado at Boulder took a long, hard look at the wildfires that swept across parts of the U.S. between 1992 and 2012, they found some shocking things. Around 84 percent of those fires were started by humans, and the numbers are almost unimaginable. Sure, the news media picks up on reporting the worst of the blazes, but there were actually more than 1.5 million individual fires on record for those 21 years. In that same 21-year period, humans started more than 840,000 fires, and the length of the fire season increased from 43 days to a whopping 93 days. Researchers think it all has to do with climate change, and the shift toward forests becoming drier while the weather's getting hotter. And that's meant major wildfires, but they're also nothing new. Staggeringly destructive fires have threatened homes, wildlife, and forests for centuries. Here are some of the world's worst wildfires on record. The Peshtigo fire was one of the worst in American history, and it started on the same night as another less destructive but more famous fire: the Great Chicago Fire. The Washington Post says history has largely forgotten about the Peshtigo blaze for a heartbreaking reason: It destroyed the only telegraph line in the area, and survivors of the fire had no way to reach the world outside their inferno. The fire ravaged northeast Wisconsin on October 8, 1871, and the National Weather Service says figuring out how it started is — at best — guesswork. The story is that railroad workers clearing land for laying track started a brushfire that swelled to burn 1.2 million acres, destroy 16 towns, and kill hundreds. The death toll varies between 1,200 and 2,500, but it's the accounts of Peshtigo's parish priest, the Rev. Peter Pernin, that best tell the story of how terrifying it was. Pernin led a group to shelter in a nearby river while watching the flames jump from one riverbank to the other. Those who survived headed to land the following morning, finding sand turned to glass and piles of burned bodies of those who had huddled together in the face of the flames. They also found one man who had slit his own throat — and the throats of his children — beside the burned body of his wife. He had killed them, rather than let them fall to the flames. Minnesota might be the Land of 10,000 Lakes and have a reputation for long, cold, snow-covered winters, but the summer and autumn of 1918 was incredibly dry. According to the National Weather Service, it was those dry months and gusting winds that turned a spark from a train into a brushfire that smoldered away outside Cloquet, Minnesota, for a few October days. When winds picked up, the fire became an inferno with 65 mph winds. The fires spread shockingly fast, and by the time it was over, more than 250,000 acres had been burned and around 1,000 were dead. Entire towns were dumped straight into hell. Cloquet was destroyed entirely, along with parts of Duluth, but one of the worst hit was Moose Lake. According to historian Dan Reed (via MPR), 453 residents of Moose Lake died in the fire — some trying to wait out the blaze in their root cellars, some trying to flee. More than a dozen people died along a stretch of road that's now called Dead Man's Curve, and entire families perished — including one family of five, who Reed says were "burned so severely that they all fit in a shoe box." Survivor testimonies are chilling, given by people who truly thought the sparks falling from the sky meant the end of the world was nigh. According to city historians, Hinckley, Minnesota, and five neighboring communities were completely destroyed by a massive firestorm that reached a peak between 2 p.m. and 4 p.m. on Saturday, September 1, 1894. They say logging was the catalyst; years and years of logging had left the area stripped of everything but dry stumps and brush. The summer had been dry, wildfires were the norm, and the sky had been hazy with smoke for months. Small fires were burning as September began, and when the breeze turned into gusts of wind, the fires started to spread. By the time it was over, 418 people from Hinckley alone were dead, along with more than 100 from other communities and, according to the Hinckley Fire Museum, an unknown number of Native Americans who disappeared during the blaze. Some fled by train, while others took shelter in a water-filled gravel pit near the center of town. Donn Larson's grandmother survived the blaze (via Lake Superior Magazine), and told stories of flames that reached 4.5 miles into the sky and could be seen from 200 miles away, and fire that burned hot enough to melt nails and fuse train cars to the tracks. Mann Gulch is a stretch of wilderness in Montana's Helena National Forest, so when fire was spotted on August 5, 1949, it wasn't homes or lives that was in immediate danger, but a patch of the country's wild forests. 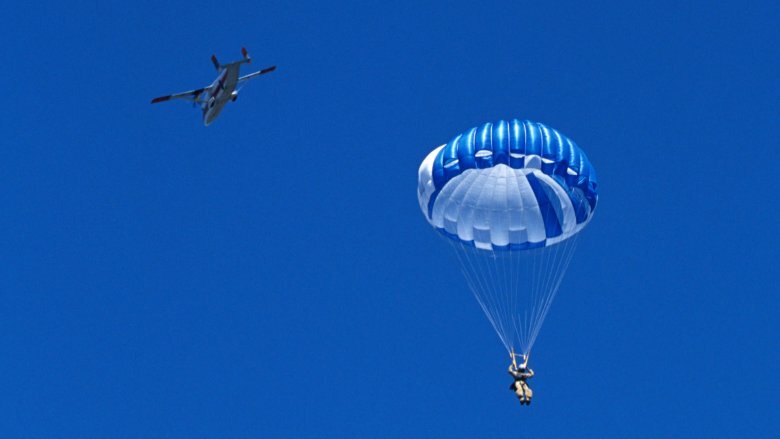 According to the Forest History Society, the task of fighting the fire was handed off to a division of the Forest Service that was still fairly new: the smokejumpers. And that's where the tragedy lies. Fifteen smokejumpers headed into Mann Gulch, and only two would survive. Not long after they landed — about half a mile from the fire — winds kicked up. It's estimated that the wildfire spread to consume around 3,000 acres in just 10 minutes, and the smokejumpers were suddenly forced to concentrate on escaping rather than fighting the fire. Unfortunately, the Forest Service called it "a race that couldn't be won." The fire would later be the inspiration for Norman Maclean's book Young Men and Fire (his other work was A River Runs Through It), and led to the Forest Service developing new firefighting techniques and adding new safety measures to their program. A memorial to the fallen smokejumpers stands at the entrance to Meriwether Canyon. It might seem incredible, being witness to history, but when history was made in summer of 2018, it was nothing short of terrifying. 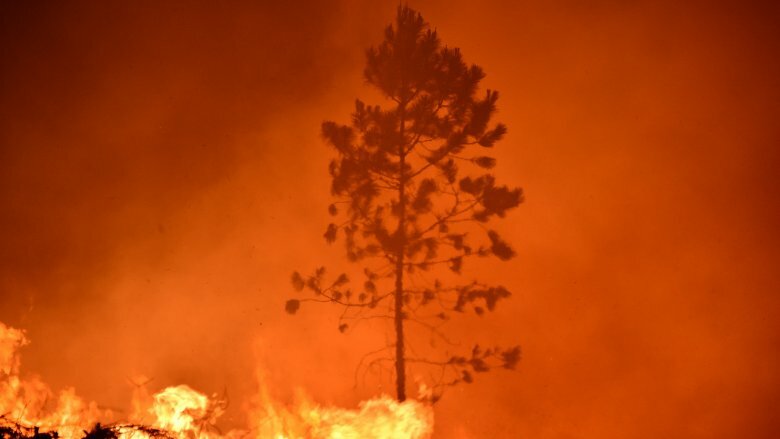 The Mendocino complex fire, which started in late July, would go on to be the largest in California's history, and it wasn't until September 20 that CNN reported it had finally been contained. One firefighter was dead, and almost 459,000 acres had been destroyed. That number might not mean much, so here's a visual: the scorched area was ultimately bigger than all of Los Angeles. The two branches of the fire — the Ranch Fire and the River Fire — forced families to flee ahead of them, as they ate through and destroyed dozens and dozens of homes. Popular Science had some terrifying words of warning to issue even while firefighters still struggled to contain the blaze, saying that was only the state's largest fire "for now." Warmer nights, drier days, and stronger winds all determine how fast a fire is going to spread, and as unthinkable as it is, the Mendocino fire was actually just one of 19 wildfires that burned at the same time. A shocking 14,000 firefighters were working to contain the fires, and it wasn't just the high temperatures that made the Mendocino fire worse, but also the lack of low temperatures. And, they say, conditions are only getting worse. In the summer of 1881, conditions were perfect for the wildfire that tore through the thumb of Michigan. There had been no rain for months; wells and streams were dry, swamps had been turned to clay, and the entire area was a tinderbox. And according to a survey by the U.S. Army Signal Corps, the Thumb Fire of 1881 was particularly bad because of something that had happened a decade prior. On October 8, 1871, a series of small fires that had popped up across Michigan's Huron, Sanilac, and Tuscola counties turned into a firestorm that, by the time it was done, would destroy the homes, property, possessions, and livelihood of up to 5,000 people. The problem was the area's logging practices. Massive tree crowns were left to dry where they fell, along with pine needles, resin, and leaves. When everything started to burn, winds picked up wood chips and spread the fire. That fire not only killed the smaller, green timber that was starting to re-grow after the loggers moved through, but it also left vast swaths of dead, standing trees, dry trunks, and piles of dead, dry timber that was fuel for the fire that started in 1881, says the University of Michigan. That second fire would go on to claim the lives of more than 300 people, forcing around 14,000 to turn to public aid to help rebuild their lives. Fighting wildfires in the 21st century is terrifying. Just imagine for a moment: It's 1910, and there's so much of North America is on fire that soot starts falling in Greenland. That's exactly what happened in August of that year, when hundreds of individual fires started across the drought-ridden Rockies — particularly in Montana and Idaho. 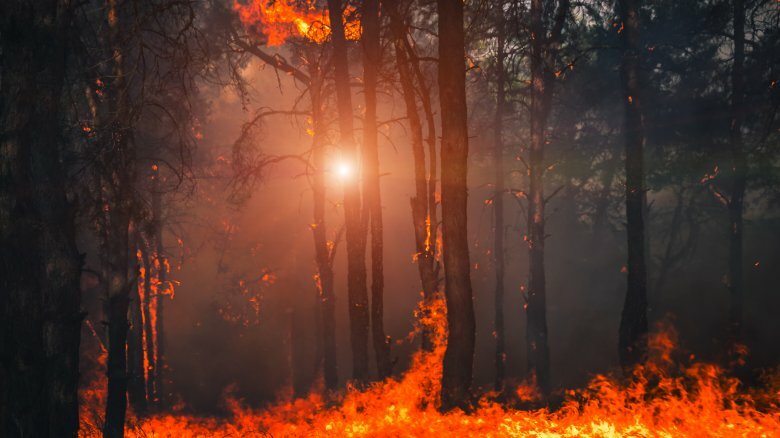 One forester, Edward Stahl, described what he saw (via the National Forest Foundation): "a tornado wind so violent that the flames flattened out ahead, swooping to earth in great darting curves, truly a veritable red demon from hell." 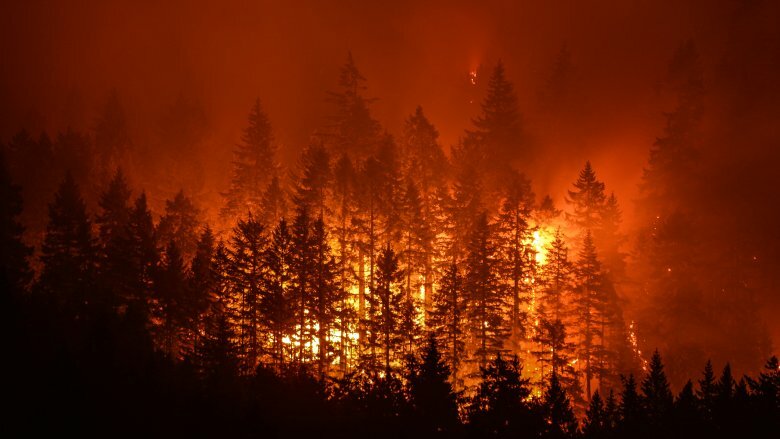 According to the USDA, it was one of the biggest wildfires in history, spread in part by trees that were torn out of the ground by their roots, turned into what was described as "flying blowtorches" and "exploding candles." Within days, 3 million acres burned and at least 85 people were dead, and then a weird thing happened. 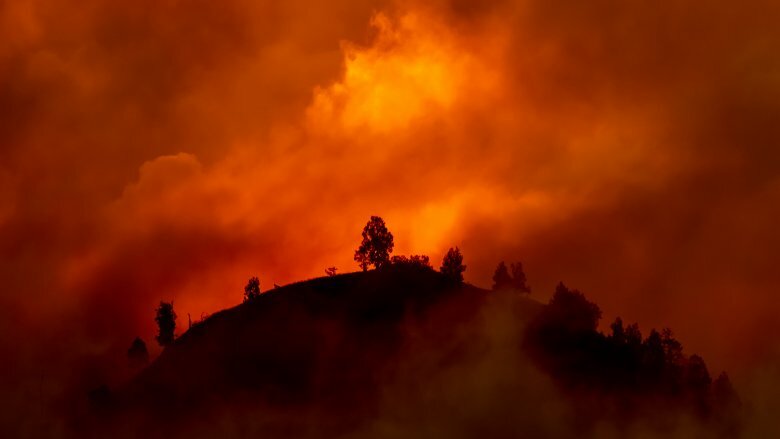 New policies were put in place by the Forest Service, including the 10 a.m. rule, which said any fire that was spotted should be controlled by 10 a.m. on the following morning. It sounds like a good idea, but the result was that more and more dry, dead trees were left to stand, and when fires did start burning out of control, they had much more fuel than they would have if the Forest Service had instead continued to do controlled burns like Native American tribes did long before Europeans settled in America's forests. No one's really sure what caused the fire that would become the deadliest in Canada's history, but according to Sudbury, historians have their suspicions. It's believed that the fire that killed 224 people and burned for days after beginning on July 29, 1916, was started by workers using dynamite and fire to clear the land for a railway line. Others think it may have started when loggers were clearing and burning debris from forestry operations, but either way, it changed the way Canada dealt with large-scale forest fires, and provincial firefighting corps were created in response. Entire communities were destroyed by the blaze, including Matheson, Iroquois Falls, and Nushka, which was rebuilt and named Val Gagne, after a local priest who had died in his attempt to help save his flock from the fires. After the fires, survivors struggled with a horrific scene, the CBC says. Even as they stacked coffins on the railways, they struggled to care for the wounded. Survivor Amelia Veitch remembered, "You didn't have to look far before you saw somebody worse than you. There were men with feet burnt. Their shoes started to burn and then they couldn't take them off." 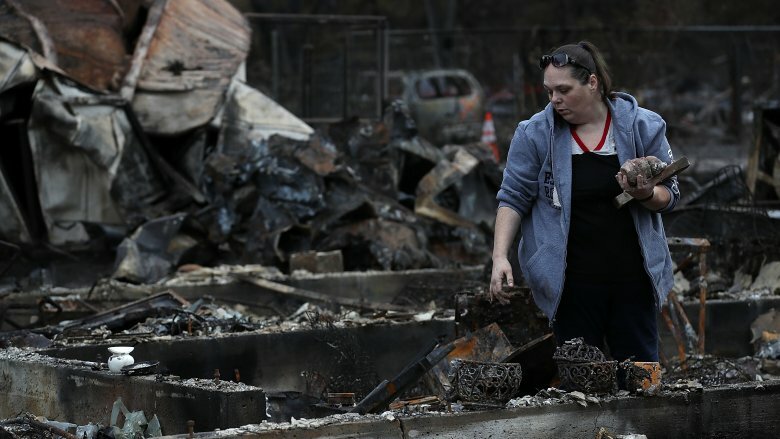 Communities struggled to find food in the aftermath of the fire, too, even eating potatoes that were already baked when they were pulled from the ground. Sixty football fields per minute is how fast USA Today says the Camp Fire moved at its peak. 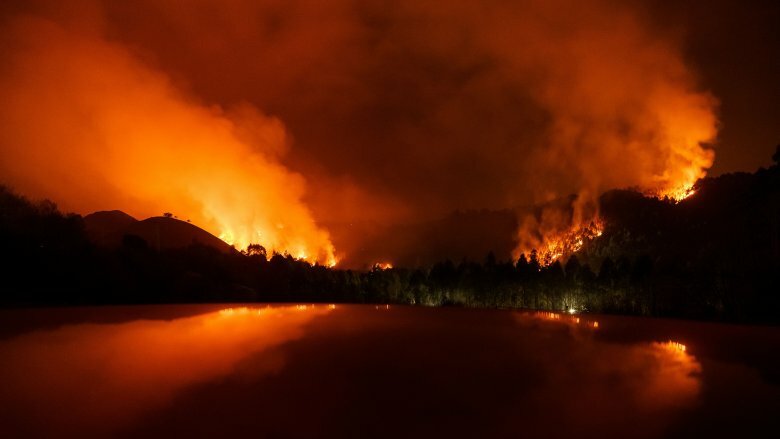 The wildfire started on November 8, 2018, in the foothills of the Sierra Nevada Mountains, and by November 13, CNN reported that it had officially become the deadliest wildfire in California's history. Even though it was contained within two and a half weeks, people were still unaccounted for well into the next year, remains were still being identified, and the death toll was adjusted to at least 85 people. Other statistics were just as terrifying: 13,972 homes destroyed, 528 businesses burned, 4,293 other buildings gone, and 153,000 acres swallowed by flames. Much of the damage was concentrated around the city of Paradise, and eyewitness accounts are terrifying. One resident, Nichole Jolly, had called her husband even as flames threatened to engulf her car. His words? "If you're going to die, die fighting." As with many wildfires, containing the blaze was just the beginning. Hundreds of thousands of people were evacuated, waiting days to find out how much — or how little — remained. Hundreds were left homeless, many were living in tents, and the housing crisis got even worse. In July 2015, wildfires started in the most unlikely of places: the tropical forests of Indonesia. The fires raged for months, destroying much of Indonesia's rainforests and the habitats of already endangered animals like the orangutan. 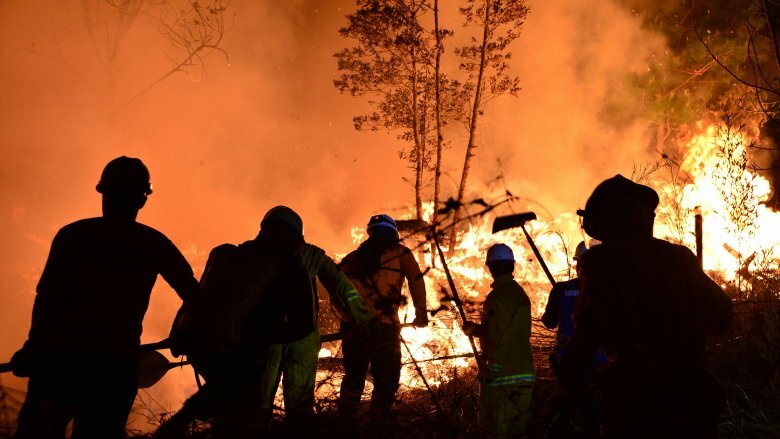 The Guardian says while there were only 19 deaths reported in conjunction with the fires, more than half a million people were diagnosed with respiratory tract infections during the blaze. It gets worse: When Harvard University went back and looked at the aftermath of the blaze, they estimated the event led to more than 100,000 premature deaths. 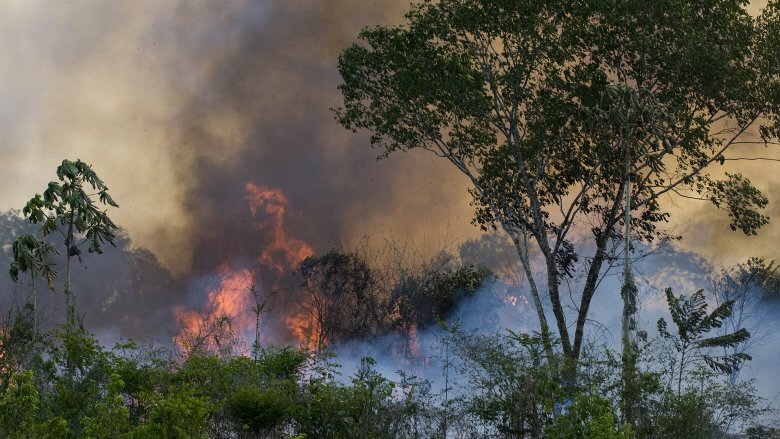 Even though most of the fires were in sparsely populated areas, winds from El Nino carried the smoke into areas like Singapore, Kuala Lumpur, and Sumatra's Palembang. The fires weren't just caused by an accident or some fireworks, either. According to the Guardian, they had been labeled a "crime against humanity" and were traced back to slash-and-burn policies used by corporations to clear huge amounts of forest, mostly for palm oil plantations and pulpwood. Seven high-ranking executives were arrested, but professors at the Bogor Agricultural University stress that small landholders trying to make a quick buck were just as guilty as large corporations. The answer to the problem? Unclear. It was January 13, 1939: a long, hot, dry Australian summer. And "dry" was an understatement, according to Forest Fire Management Victoria. The years prior to the day that would be known as Black Friday had been punctuated by drought: creeks and river beds were dry, water restrictions were in place, winds had sucked the last bit of moisture out of forest floors and turned vast patches of Australia into a tinderbox. 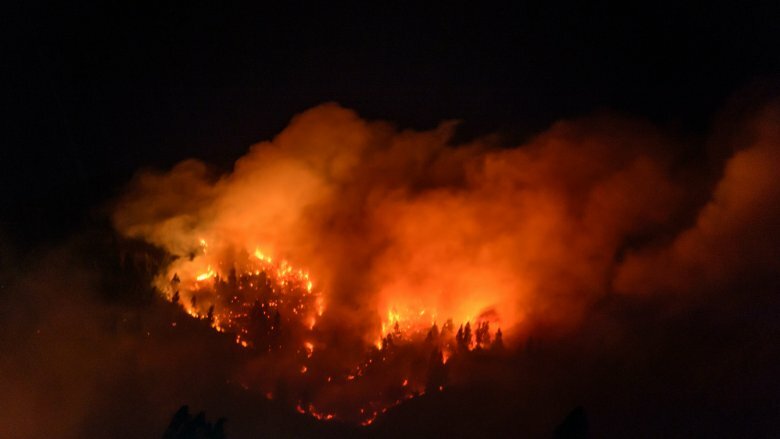 Then, when the winds picked up, the fires that had been intentionally set by land owners, miners, forest workers, and campers burned out of control. Millions of acres burned, at least 71 people died, thousands of horses, cattle, and sheep were killed, more than 1,000 homes were lost, and five entire townships were swallowed by the blaze. Dozens of others were impacted, acres of reserved forest was destroyed, and ash fell as far away as New Zealand. Seventy years later, it happened again — and it was called Black Saturday. By the time those fires were under control, 173 people and more than a million animals were dead. The National Museum of Australia says it happened on one of the hottest days ever recorded, and when winds gusted at almost 65 mph, the blaze spread again. 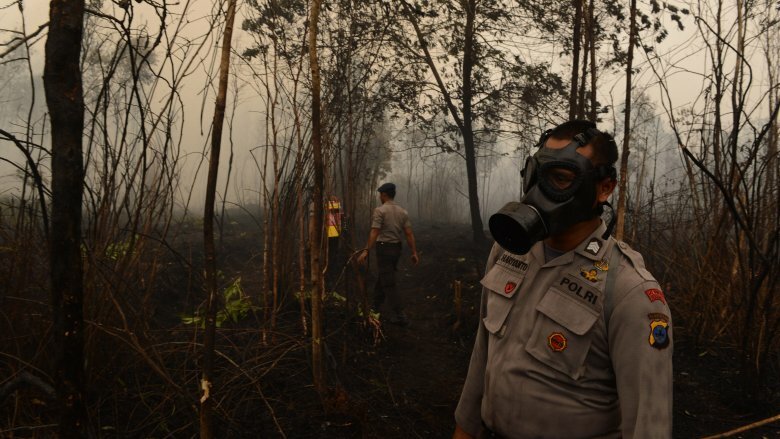 The forests of Indonesia burned in October and November of 1997, and smoke blotted out the sun as far away as Australia, Sri Lanka, and the Philippines. 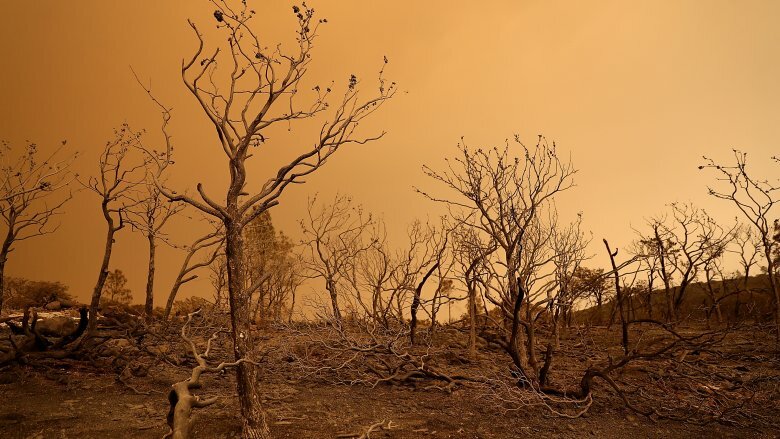 According to Mongabay, millions of acres of forest were destroyed and entire economies crumbled as the country burned. Hundreds of thousands of people were hospitalized, and the Air Pollution Index was off the charts. To put it in perspective, if a person is exposed to air that's at anywhere from 200 to 300 on the index, that's about the same as smoking 20 cigarettes a day. During the fires, pollution index levels were up to 800. More than 70 million people were exposed to not just pollution, but other consequences of the fires, too. Haze and smoke caused accidents, including the crash of a commercial flight. All 234 passengers were killed. And according to Australian Broadcasting Corporation, a study of the long-term impacts of the fires on human health suggests that more than 100,000 deaths were caused by complications from the fires. The World Wildlife Fund called the fires a "planetary disaster," as it didn't just destroy some of the most biologically diverse forests in the world, but it also blocked out the sun, encouraged the spread of bacteria and viruses, and did serious damage to pollinators. Insect populations plummeted and had a domino effect on other wildlife. The loss of the forests also means more erosion, and consequences that will be seen for decades.